“I would have expected a lot more involvement by the Vatican – the time for cautious diplomacy is at an end,” said Archbishop Sviatoslav Shevchuk of Kiev-Halych, major archbishop of the Ukrainian Catholic Church. “The fact that 70 per cent of Ukrainian army regulars fighting against separatists and Russian soldiers have Russian as their mother-tongue shows the unity of our people and our army. What we are seeing is a foreign invasion of Ukrainian territory by Russian troops,” he said. “Ukraine desperately needs support from abroad, so it doesn’t become a so-called failed state – this risk is unfortunately very great,” U.S. Archbishop Thomas Gullickson, who was nuncio in Kiev from November 2011 until early September, told Vatican Radio on 2 October. “There’s a real danger Ukraine will become a kind of Somalia in the middle of Europe – Europe can’t turn its back on the Ukrainians and close its eyes to what’s happening,” said the nuncio, who was reassigned to Switzerland and Liechtenstein. “Events in Ukraine will have consequences for the rest of the world. You can’t just say goodbye, good luck – keep warm and well-fed. We have to engage,” he said. 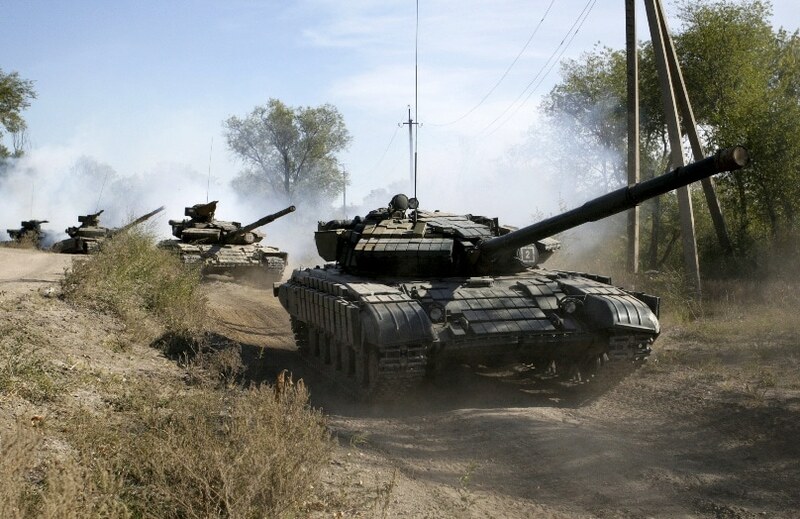 Leaders from Ukraine, Russia, Germany and France, meeting on 2 October in Paris, agreed to back a withdrawal of tanks and heavy weapons from front-line positions in eastern Ukraine, as a first step toward elections in the rebel-held Donetsk and Luhansk regions. However, the Organisation for Security and Co-operation in Europe said it had yet to monitor the withdrawal and warned on 2 October it had seen powerful multiple rocket launchers in Luhansk. Ukrainian Catholic leaders have repeatedly accused Russia of military intervention in the war, in which approximately 8000 people have been killed and at least 17,800 injured since April 2014, according to September data from the U.N. human rights office. In May, he told France’s Catholic La Croix daily Rome was “trying to safeguard its ties with Moscow”, adding that the pope’s pledge to stand with Ukrainians during a February bishops’ visit had not been “matched by action”. In June, he told Poland’s Catholic information agency, KAI, Ukrainian Catholics appreciated the Holy See’s “mediating mission”, but counted on Rome to employ “clearer terminology” and describe the conflict as an “act of aggression by Russia” rather than “fratricidal war”.